We have the best volunteers around at Grace. We want to help you get to know them, so we’re excited to begin our Volunteer Spotlight posts to introduce them! I’m applying to physician assistant school this summer and taking at least a gap year to continue working/serving/trying to stay out of too much trouble. I really like to be outside- fishing is actually one of my most very favoritest things to do when it’s nice enough outside. I really like squirrels and microbiology. 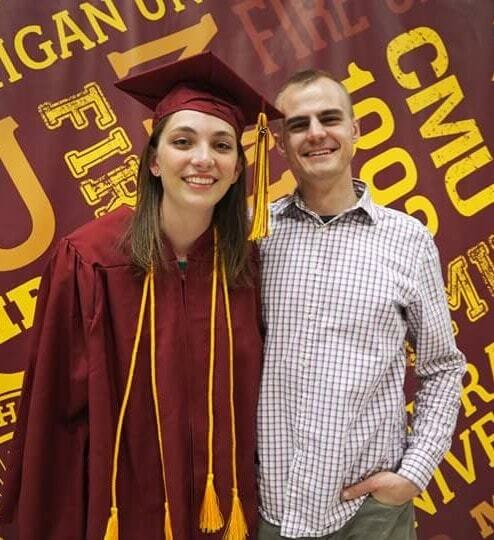 Katrina just graduated from CMU! I heard about Grace through my roommate in the dorms my freshman year. 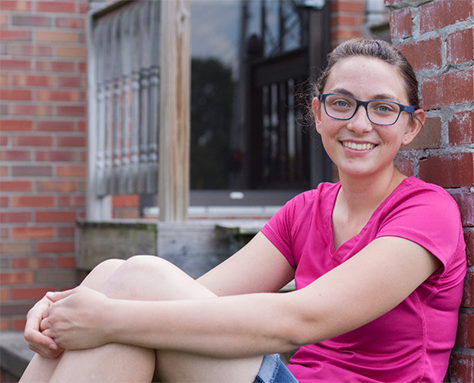 She had come into the Twelve17 Coffee Roasters ministry one day and found out that it was also a church. We visited a few services and found that it was home. I’ve been home here since! I love the genuine relationships here at Grace. People here probably know me the best because they’ve seen me at my best and worst and loved me all the same. I’ve found such incredible blessing out of being known by many. Where do you serve at church? Twelve17 Barista and Inventory Manager, Five6 CM worker, Moms in Ministry, and Kitchen Team Inventory. What do you love about volunteering with the Twelve17 Coffee Roasters team? Simply put, I absolutely love making coffee. I enjoyed it from my first time behind the coffee bar but I love the dynamics when everyone is working well together during a busy time and functioning as a team. CMU’s exam week is my favorite for seeing that and being a part of being able to bless other folks, including the random classmate that comes in. It’s a unique touch to have on campus. Leading up to the spring semester of my freshman year, I felt a clear leading to get involved at Grace, practically meaning for me to join the coffee team. Joining Twelve17 launched me into seeing the ways a functional Body of Christ works and integrating me into it. I serve because I love the church and the work that God does through it. I know that everything I have was given to me, so it’s a joy to be able to give that back as a small sacrifice for Him and get into close proximity to other people who desire to know Christ more and grow.